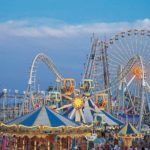 What Kind Of Rides Should You Buy For Different Amusement Parks? There are so many different styles of amusement parks out there. There are theme parks, which are all based around the idea of a particular theme. There are simple carnivals, which go from town to town, bringing joy and wonder where ever they go. Then there are the simple amusement parks, little areas of rides and games that sit stationary in a small town, giving the townsfolk a place to bring the kids and spend a few hours. Since there are so many different styles of amusement parks out there, there are many different styles of rides. Not every kind of ride fits in every kind of amusement park, after all. Even the same kind of ride may be different depending on the type of amusement park you’re trying to buy for. 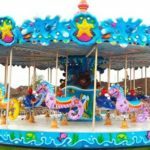 Which brings up the question, if you need a wonderful carousel ride, how do you buy a wonderful carousel ride for different amusement parks? The first step is to identify what kind of amusement park you’re buying for. Chances are, if you’re in charge of buying the rides, then you already know what kind of amusement park it is. If you don’t, you might want to get someone else to buy the rides! There are so many different styles of carousels out there today. The basic ones are simple, small wheels with basic animal shapes to ride on. There’s nothing wrong with that, and in fact it could be a great choice for any moving carnival. No need to get something huge and cumbersome when you have to set it up and tear it down regularly! 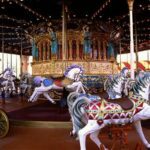 If you’re running a theme park, then buying a wonderful carousel ride can be incredibly entertaining. 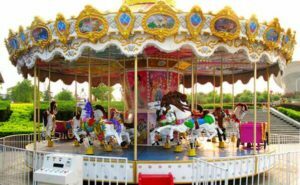 There are all manner of different carousel rides out there, with all manner of different riding spots. 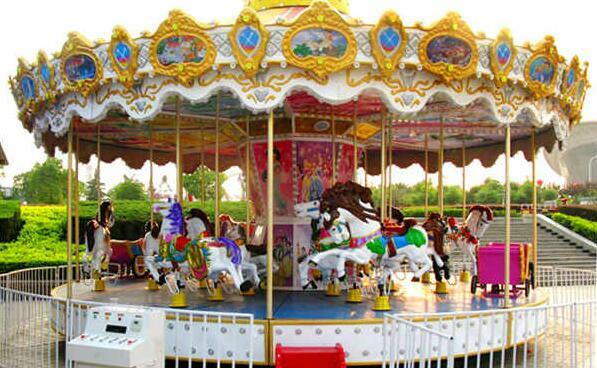 If you have a pirate themed amusement park, you could get a carousel with pirate ships instead of animals! 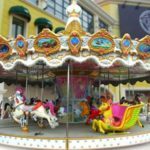 If you run an amusement park that caters to a local town or city, you could get a carousel custom made in order to have city related things. You could have the animal seats made in the form of the local bird, or a favorite local animal, or even the local sports team mascot! 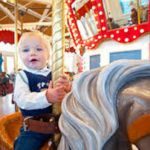 The best part about a carousel ride is that it’s really fun for all ages. 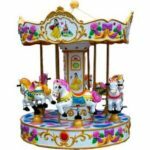 Teenagers and adults will enjoy riding around on a carousel, remembering the joys of their childhood. 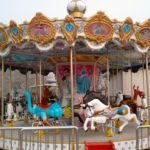 Young children will be filled with joy and wonder, sitting atop magical creatures and fun vehicles, spinning around in a circle fast enough to be exciting. Whatever you choose for your amusement park carousel ride, just remember that it should bring as much joy to everyone as possible. 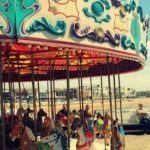 There are so many amazing, magical carousel rides out there that there’s almost no limit to the kinds you can find. So if it’s your job to find a carousel ride for your amusement park, go nuts! You should have as much fun buying one as people have riding them!